I got the email a couple of days ago. I've been buying knives from his company since I was a teenager. Way back when you actually had to call a company to order something. They were always polite and helpful. I called to order a Blackie Collins pocket knife one day back in the early '90s and A.G. himself answered the phone. 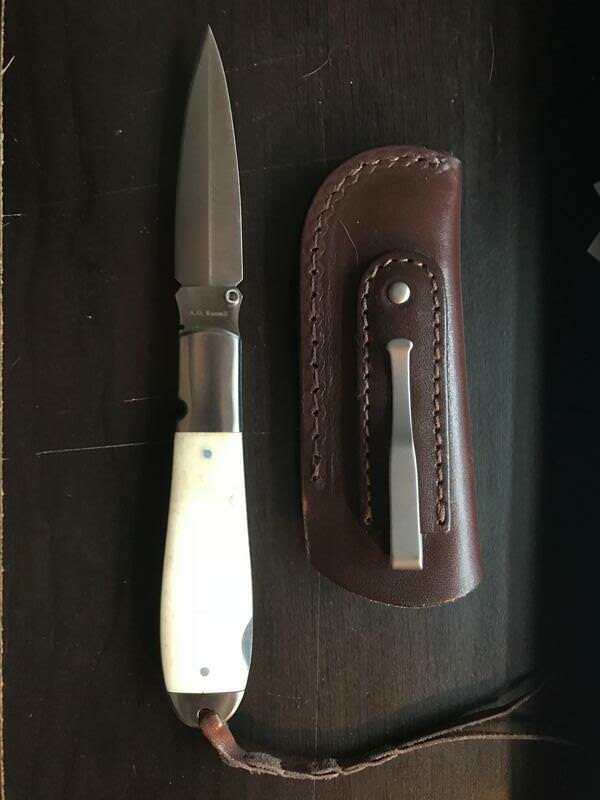 Recent purchase was this really sweet bone handled folder. Last edited by 2ndovc on Sun Oct 21, 2018 7:43 am, edited 1 time in total. Prayers sent to all concerned, sorry ya lost a friend Jason. A huge hole in the list of modern custom knife makers. Hopefully his son has learned well and can help fill the void.